West Yorkshire Police is working alongside West Yorkshire Fire & Rescue to promote firework safety in the run up to the bonfire period. To provide a high visibility presence in the areas and target offenders committing anti-social behaviour and criminal damage. To ensure a range of preventative and diversionary activities are in place for young people and to promote official/community bonfires. 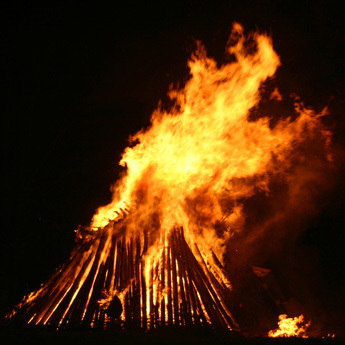 To remove unofficial bonfires or potential material for bonfires from public places. 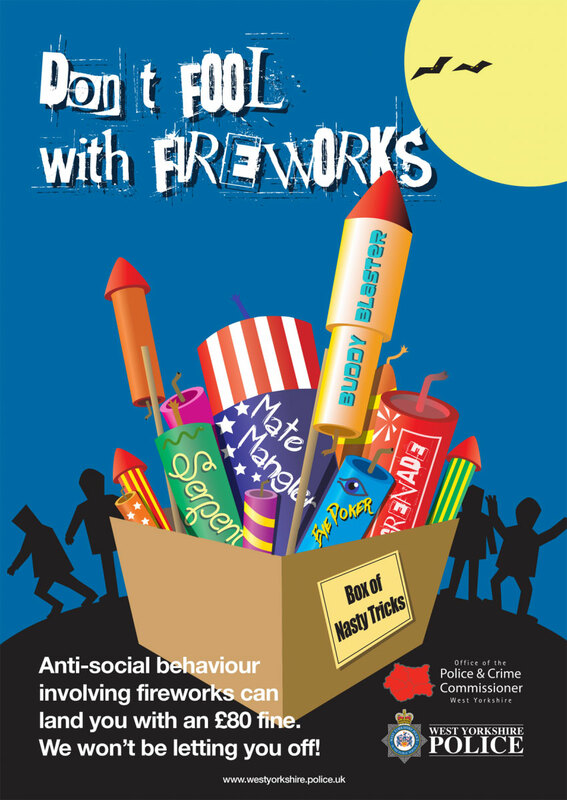 To enforce firework legislation and minimise the sale of nuisance items to young people where appropriate. To deal appropriately with the level of nuisance/firework related logs. To aid communication with the public and between partners. Click here to read the current UK laws on the sale of and use of fireworks. An organised display is the safest way to enjoy fireworks. Fireworks are noisy (which can upset very young or elderly people as well as pets). They can cause damage and they can cause serious injuries if not used properly. It is an offence to buy fireworks by anyone under the age of 18. You can be fined or imprisoned for buying or using fireworks illegally. It is an offence to let fireworks off between 11pm and 7am except on 5th November when the cut off is midnight and on Diwali, New Year’s Eve and Chinese New Year when the cut off is 1am. It is also an offence to set off fireworks in a public place. Keep bonfires small and manageable and build them away from houses, garages, sheds, fences, overhead cables, trees, bushes and vehicles. Avoid drinking alcohol whilst in charge of a bonfire or fireworks and particularly when supervising children. Keep fireworks in a closed box and use/light them one at a time. Light the firework at arm’s length using a taper or fuse wick and stand well back - never return to a firework once it has been lit. For further advice, view the YouTube video below and visit www.westyorksfire.gov.uk. Alternatively follow West Yorkshire Fire & Rescue on Twitter @West_Yorks_FRS or see the Facebook page. It’s also hoped that using the hashtag #WYBonfire Twitter followers will re-tweet and spread the vital safety messages. We would like everyone to have a happy and safe Halloween and Bonfire Night.